Children’s Day is not a holiday for schools. 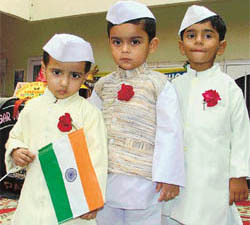 In India children are asked to indulge in many activities on that day. You can organize many cultural programs and competitions such as singing, dancing, painting, drawing, quizzes, story telling, elocutions, fancy dress, debates, speeches etc. You can give away prizes such as trophies or gift vouchers to the winning students. It is not just schools that can organize the event, but also social and corporate institutions that are willing to fund. Children do not have to wear regular uniforms on that day. 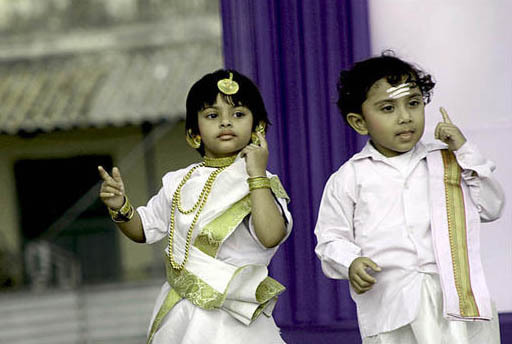 Teachers can disguise themselves as children and present drams and dances. If you want, you can plan picnics or tours. You can arrange for some children’s movie or patriotic movie in your school auditorium or a nearby theater. 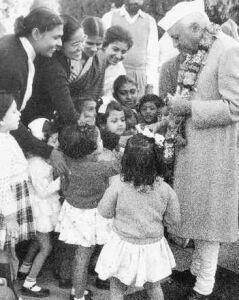 Children’s Day celebration is symbolic of young children growing up into educated and responsible citizens of the country and including activities that creates awareness among students such as seminars would be of great help. The global counterpart of the day is celebrated on November 20. You can include some aspects of that celebration into the Indian version. The global awareness of basic rights of children should be imparted on school children who are more fortunate than the ones on the streets. Instead of having a party and celebration, may be you can have the school children visit homes that shelter street children, befriend them and donate clothes, books, toys etc. You can also organize a party for underprivileged children in India. You can have a chief guest for the event. If you can get a very successful person such as a businessman, an educator or scientist, it would be great help from the children. They will have a lot to share from their life that children can utilize to build their own future. Please avoid celebrities such as film stars unless you think their presence will create an air of intellectual exchange than a fan buzz. The guest of honor can also take part in prize distribution ceremony if he/she has the time to stay. If not, the school principal can do the honor. It might be difficult to arrange lunch or dinner for everyone since the number of people attending will be huge. However, you can arrange for snacks and soft drinks for the children and food for the chief guests.